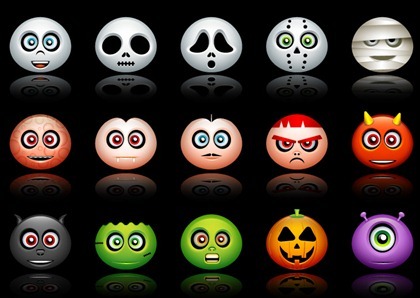 Halloween Avatars | Free Icon | All Free Web Resources for Designer - Web Design Hot! PNG file stored in the Portable Network Graphic (PNG) format; contains a bitmap of indexed colors and uses lossless compression, similar to a .GIF file but without copyright limitations; commonly used to store graphics for Web images. ICO format used for storing icons for Windows programs, files, and folders; contains two bitmaps: 1) the AND bitmap – the image mask (which determines what part of the icon is transparent) and 2) the XOR bitmap – contains the icon which is mapped onto the image mask; ICO files can be modified to create custom icons. This entry was posted on Wednesday, October 21st, 2009 at 7:27 am and is filed under Free Icon . You can follow any responses to this entry through the RSS 2.0 feed. You can leave a response, or trackback from your own site.